The Irish word for forgiveness is maithiúnas. It comes from the word maith, meaning good. The word is the same, or similar, in Cymraeg, Gaelg, and Gaidhlig—other languages spoken across the islands of Britain and Ireland. To forgive someone is “to good” them. To forgive someone is to treat them with the goodness with which they did not treat you. We are so inclined to want authority for the honor, prestige and admiration that comes with it. Inside each of us is a little tyrant who wants power and the associated prestige, who wants to dominate, to be superior and to control. We feel we are the only ones to see the truth… Christians can sometimes hide these tendencies behind a mask of virtue, doing what they do for “good” reasons. There is nothing more terrible than a tyrant using religion as his or her cover. 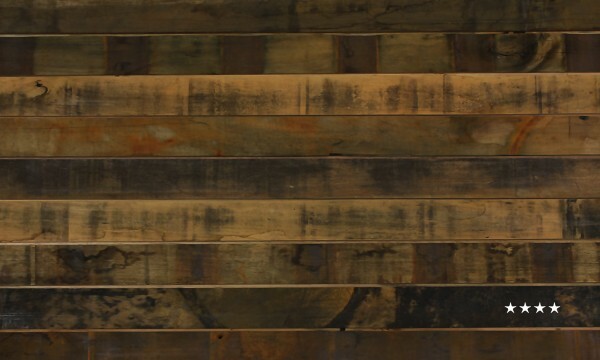 You see, I have a thing for craftsmen and women—people who make handcrafted stuff: rustic Italian bread, wine, skateboards, pottery, whiskey, furniture, cabins, letterpress printing, whatever. Do You Know What God Dreams About? Dear child of God, what do you dream about in your loveliest of dreams? Do you dream about flying high or rainbows reaching across the sky? Do you dream about being free to do what your heart desires? Or about being treated like a full person no matter how young you might be? Do you know what God dreams about? If you close your eyes and look with your heart, I am sure, dear child, that you will find out. *note: picture above is a statue of Jesus in Hallgrímskirkja – the iconic church in Reykjavík, Iceland. I got into a crazy discussion with a pastor friend recently. Chaos erupted in the room. Every eye was on me as I attempted to explain myself. I tried to describe how, as a follower of Jesus, I embrace his way of non-violence, forgiveness-times-infinity, enemy-love, blessing those who curse, etc. There were more questions. Hypothetical situations raised. Some ridicule. Maybe a little genuine curiosity too. I used to believe it was OK to have enemies. Because Jesus said to love them, bless them, pray for them… I kinda took it as permission to collect ‘em. But I don’t believe that anymore. I don’t believe it’s OK to collect or have enemies. You are not just a recipient of God’s grace. Fundamental to what we believe about the kingdom of God is that we, the people of God, have been blessed by him—AND we are a blessing to the earth. We’re more than blessing containers. This is not a tupperware party. It’s not about storage. It’s about flow. When Israel escaped from Egypt, approximately 2 million people were now camping out in the desert. The land could not sustain them. There were no orchards or farmlands. There wasn’t a Walmart Superstore nearby. So how did they eat? God provided “manna” – bread from heaven for them. He gave them instructions to take just enough for their families for the day—assuring them that He would provide enough manna for everyone each day. He told the people not take more than they needed, and not to store the manna. No manna in doggie bags, no tupperware containers. I believe the blessings of God are not meant to be stored, hoarded or kept to ourselves. When we try to keep or contain His blessings, things start to stink real quickly. God’s supply never diminishes. He’s not in recession. More grace. More forgiveness. More mercy. More love. More favor. More blessing. Our job isn’t to put it all in a tupperware container for safe-keeping. Our job is to look around and make sure everyone is getting some. Don’t let what God blessed you with get all stinky. Don’t let your manna become a maggot farm. Instead—share, give and pass on the blessings to others. We must not only be recipients of God’s grace, but we must be in the flow of his grace—touching others with the grace of God everywhere we go. We have been blessed by Him—AND we are a blessing to the earth. For whatever reason, the church (everywhere) has always been one big agenda magnet. You name it—somebody wants it. And they’ll fight to get it. To be honest, it annoys the snot out of me. Sometimes the agenda is for a good and worthy cause. Other times, the agendas are absolutely ridiculous. Either way (good or bad), they’re always nonessential; they are superfluous and peripheral. If we’re not careful, the agendas will take over—eclipsing the main thing. Gospel means literally, Good News. The Gospel is news of what God has done to reach us. It is not advice about what we must do to reach God. The Christian Gospel is that I am so flawed that Jesus had to die for me, yet I am so loved and valued that Jesus was glad to die for me. God’s love and forgiveness can pardon and restore any and every kind of sin or wrongdoing. It doesn’t matter who you are or what you’ve done… There is no evil that the father’s love cannot pardon and cover, there is no sin that is a match for his grace. God has entered the world in Jesus Christ to achieve a salvation that we could not achieve for ourselves which now 1) converts and transforms individuals, forming them into a new humanity, and eventually 2) will renew the whole world and all creation. This is the ‘Good News’—the Gospel. We never “get beyond the gospel” in our Christian life to something more “advanced.” The gospel is not just the A-B-C’s but the A-Z of Christianity. The Gospel is the big deal, the main thing. It is essential. Without it, we do not have a church. The church can live without various agendas (in fact, it tends to thrive in the absence of peripheral agendas). Our job in the church is to keep the main thing the main thing. Agendas must never become our rally-cry. It has always been, and will always be, the Good News of the Gospel. 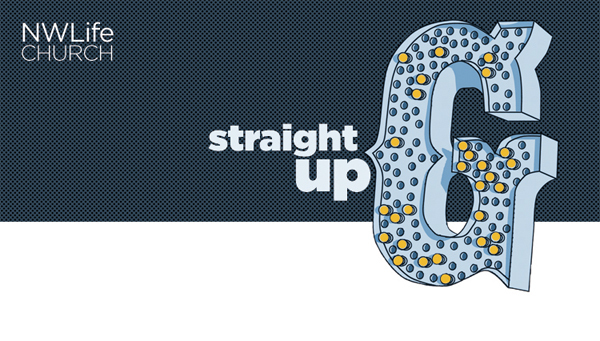 That’s what this new series of teaching at NWLife is all about: Straight up G.
Together, we’re gettin’ after the Gospel. We will be digging in to the book of John—this week, chapter 1. I hope you will join me. C’mon! Let’s be straight up G together.